It’s spring here in Chicago (fingers crossed), the baseball season opened yesterday, and the first quarter of the year is in the books. This means that you will be receiving statements from your 401(k) and your various investment accounts. For many investors mutual funds comprise a significant percentage of their portfolio. Here are 4 things to consider when evaluating actively managed mutual fund holdings. Even with index mutual funds the manager(s) of the fund are a consideration. However the management of the fund is a vital consideration when evaluating an actively managed fund. Davis New York Venture (DNVYX) is an actively managed large cap blend fund with a long track record of success under two long-tenured co-managers. When one of these co-managers unexpectedly left at the end of 2013 this was a cause of concern in evaluating the fund. The fact that Davis moved quickly to replace this manager with an experienced member of the team at Davis was reassuring. The fund continued its solid relative performance in the first quarter of 2014 after a solid 2013, which was preceded by three very sub-par years. It is too early to tell what impact the management change with have on the long-term performance of the fund and this will bear close scrutiny. 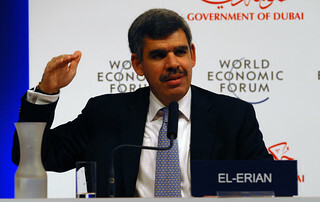 Another example is the veritable soap-opera unfolding at PIMco over the departure of former Co-CEO Mohamed El-Erian. While El-Erian didn’t manage many of PIMco’s funds, I’m guessing the whole situation was a distraction to CEO and founder Bill Gross who is also the manager of the firm’s flagship fund PIMco Total Return (PTTRX). While this situation may not have been the cause, the fund finished in the bottom 15% of its peers in the first quarter. This is on the heels of sub-par performances in calendar 2011 and 2013, though the fund ranks the top 5% of its peers over the trailing ten years all under Bill Gross’ leadership. It is not uncommon for a fund that has achieved a solid track record over time to see the manager who was responsible for achieving that track record move on. It is important when looking a mutual fund with a stellar track record to understand if the manager(s) responsible for this track record are still on board. One of the truisms that I’ve noticed over the years is that good performance attracts new money. Even if a top fund is responsible enough to its shareholders to close the doors to new investors before asset bloat sets in, the assets inside the fund might still balloon due to investment gains. Two closed funds that I applaud for putting their shareholders first are Artisan Mid Cap Value (ARTQX) and Sequoia (SEQUX). I’ve seen several formerly excellent actively managed mutual funds continue to take on new money to detriment of their shareholders. Asset bloat can be a huge issue especially for equity mutual funds that invest in small and mid cap stocks. At some point the managers have trouble putting all of this extra money to work and can be faced with investing in stock with larger market capitalizations. At this point the fund might have the same name, but it is likely a far different fund than it was at its inception. About one-third of U.S. mutual fund assets, amounting to several trillion dollars, are with closet indexers, according to research published last year by Antti Petajisto, a former Yale University professor who now works for BlackRock Inc. I was quoted in this 2012 piece in Investment News discussing closet indexers. As the article mentions a fund is considered a closet indexer when its R2 ratio (a measure of correlation) reaches 95 in comparison to its benchmark. In the example of American Funds Growth Fund of America this benchmark index would be the Russell 1000 Growth Index. The point here is that if you are going to pay up in terms of an actively managed fund’s higher expense ratio, you should receive something in the way of better performance and/or perhaps better downside risk management over and above that which would be delivered by an index mutual fund or ETF. An example of a an actively managed fund that you might consider being worth its expense ratio is the above-mentioned Sequoia Fund. A hypothetical $10,000 investment in the fund at its inception on 7/15/1970 held through 12/31/13 would be worth $3,891,872. The $10,000 invested in the S&P 500 Index (if this was possible) would have grown to $901,620 over the same period. This fund suffered a much milder loss than did the S&P 500 in 2008 (-27.03% vs. 37.00%) and outgained the index considerably in challenging 2011 (13.19% vs. 2.11%). Sequoia’s R2 ratio is 80. R2 can be found on a fund’s Morningstar page under the Ratings and Risk section of the page. Superior performance is an obvious motivation, but you should always make sure to compare the performance of a given mutual fund to other funds in the same peer group. A good comparison would be to compare a Small Cap Value mutual fund to other funds in this peer group. A comparison to Foreign Large Value fund would be far less useful and in my opinion irrelevant. Unfortunately superior active mutual funds are often the exception rather than the rule, one reason I make extensive use of index mutual funds and ETFs. However solid, well-run actively managed funds can add to a portfolio. Finding them and monitoring their performance does take work. Mutual Funds – Are “Family Values” Important? Over the years I’ve been asked whether there is a mutual fund family (or families) that I prefer. My answer is generally along the lines that I choose mutual funds and ETFs based on screening and their fit in a particular client portfolio. This is absolutely true but there are families that I do tend to use more than others. Vanguard mutual funds and ETFs comprise about 22% of these assets. PIMco mutual funds, ETFs, and closed end funds make up just over 10%. In addition to Schwab I have individual clients with a smattering of assets at other custodians, including Vanguard. A significant portion of my practice involves providing advice to several 401(k) plans, as well as a couple good-sized pension plans and foundations. Both Vanguard and PIMco are well-represented, along with Fidelity. In the case of Fidelity two of the larger 401(k) plans are administered by Fidelity and we do have a number of Fidelity funds in both plans (along with a number of non-Fidelity funds). In the case of Vanguard I am drawn to their low cost index products, I rarely use their actively managed funds. In the case of PIMco the bulk of the assets are in three of their funds. Their fixed income expertise and their research orientation are impressive. A sense of general turmoil. Janus is a prime example of firm where this concern is prevalent to me. The company is on its 5th CEO since 2003 and they have experienced a noticeable amount of manger turnover. Refusal to close popular funds. One of the things that I really like about Artisan (a relatively small fund firm in Milwaukee) is that they routinely close funds when they take on too much money for the managers to effectively manage. Perhaps the “poster child” here is Sequoia who had reopened their lone fund in 2008 after being closed to new investment for over 20 years, feeling comfortable for the first time that they could effectively manage new money. They just re-closed the fund once again in the past year. It seems to be a rule that money follows performance. A fund that has a couple of really good years will attract waves of new investors. In my opinion it is irresponsible for the fund company to keep the fund open if they don’t feel they can effectively manage these inflows. In my opinion this is the definition of greed overruling shareholder interests. A commissioned or fee-based rep who pushes a particular fund family, especially if that family is also his/her employer. A recent example involves a lawsuit against JP Morgan Chase alleging that their reps pushed the company’s proprietary funds over those from other families. I suggest asking many questions of this rep if you like them, or better terminating the meeting on the spot if you are a prospective client. As an individual investor I would caution you against loyalty to any fund family. Rather start out with the overall portfolio allocation that you are shooting for and then pick the best funds/ETFs to fill those “buckets.” Ideally this is an outgrowth of your financial plan. As a practical matter you might be unable to buy some funds due to investment minimums and other factors. However there are many custodians that offer access to a wide array of funds across many families. I would generally suggest going that route vs. limiting yourself to a situation where you only have access to a single family or a very small number of fund families. As is always the case, nothing published on this blog constitutes investment advice nor should you take it as such. Please see the Disclaimer page for more. Please feel free to contact me with your questions, comments or suggestions regarding the site. The mutual fund companies in many cases do nothing to make selecting or understanding their funds easy. One area of potential confusion for investors is (in some cases) the myriad of share classes available among the same fund. 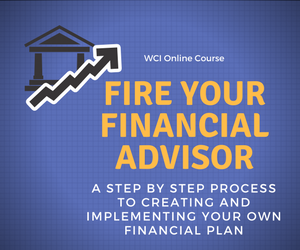 All three share classes are sold by commissioned based and fee-based advisors. The A shares are the cheapest to own over time; however investors pay an upfront charge of 5.75%. For every $10,000 invested, $9,425 actually goes to work for you with the rest going to the broker. Typically there is no load for purchases above a certain dollar level and subject to some restrictions exchanges between other funds in the same family will not incur a sales load. The B shares are no longer sold by the American Funds and many other fund companies. While there is no front-end load, the deferred sales charge starts at 5% in the first year, drops to 1% by year 6, and disappears in year 7. This means that there is a back-end sales load if you sell in the first 6 years. In addition, the 12b-1 charge which is part of the expense ratio makes the fund more expensive to own each year. This fee goes to compensate the broker in lieu of the front-end load. The C shares have a level load in the form of a 1% 12b-1 fee that never goes away. In addition there is a back-end load in the form of a 1% deferred sales charge for the first year. With both the B and C shares, there is typically no additional charge for transferring to another fund in the same family and share class, though this could trigger a taxable situation if there is a gain and the fund is held in a taxable account. These lower expenses fall right to your “bottom line” in the form of higher returns to shareholders. If your plan contains funds in what appear to be a higher cost retirement share class (whether via the American Funds or other fund families) this might be a reason to question those who are responsible for running your company’s plan. The fund expense disclosures that you have likely received by now for your company retirement plan are a great starting point to review the expenses of all investment options offered by the plan. Even low cost provider Vanguard has different share classes for some of their funds; generally the more advantageous share classes have a higher minimum investment than their base Investor share class. Using the Index 500 Fund as an example, the Investor share class has a low expense ratio of 0.17%. However, if you have $10,000 invested in this fund you will have access to the Admiral share class with an ultra-low expense ratio of 0.05%. In some situations the next level fund for investors might be the Signal share class with an identical expense ratio. If you hold the Investor share class check with your custodian to see which share class you are eligible for. Typically if you invest directly with Vanguard they will notify you automatically if you are eligible for the Admiral shares. One of the advantages that I am able to offer my clients is access to more advantageous share classes than they could generally get on their own. One example is the PIMco Total Return bond fund. The D share class is no-load with a $1,000 minimum investment. This share class carries an expense ratio of 0.75%. I have access via Schwab to the Institutional share class of the fund, which usually carries a $1 million minimum investment and a much lower expense ratio of 0.46%. This difference is significant especially in a bond fund. This is a benefit that many advisors can bring to their clients across various investment platforms. These just a few examples of differences in share class among the same mutual fund. Whether you invest on your own, via a financial advisor, or within your company retirement plan; it behooves you to understand and question the various share classes available to you. While the differences in expense ratios may seem small, the impact of a lower expense ratio can be huge in terms of the amount you accumulate over time. Please contact me with any thoughts or suggestions about anything you’ve read here at The Chicago Financial Planner. Also please check out our Resources page for more tools and services that you might find useful.